jQuery UI Tooltip - Default functionality Reporting on the violence in Syria is becoming almost impossible. 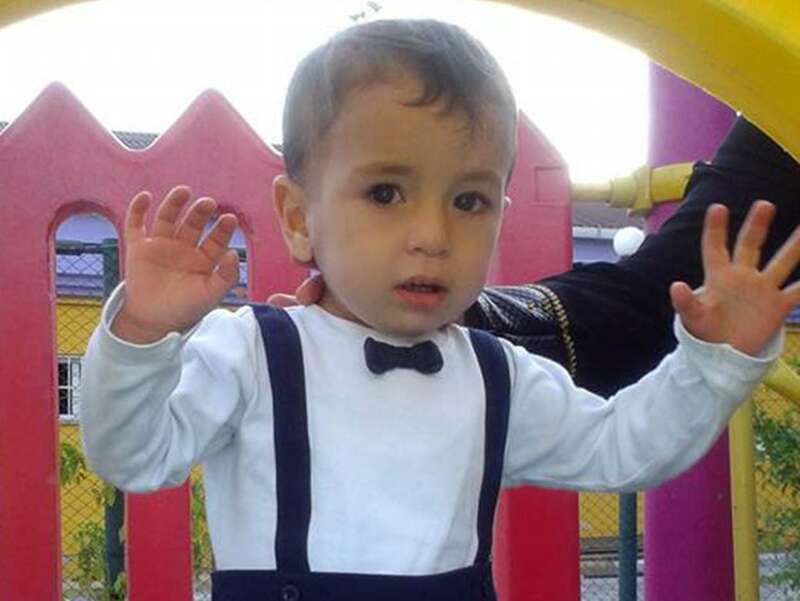 Aylan Kurdi started the day in a red shirt, blue shorts and shoes. 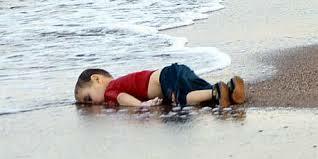 One outcome of the european refugee crisis. There are thousands more just like him. 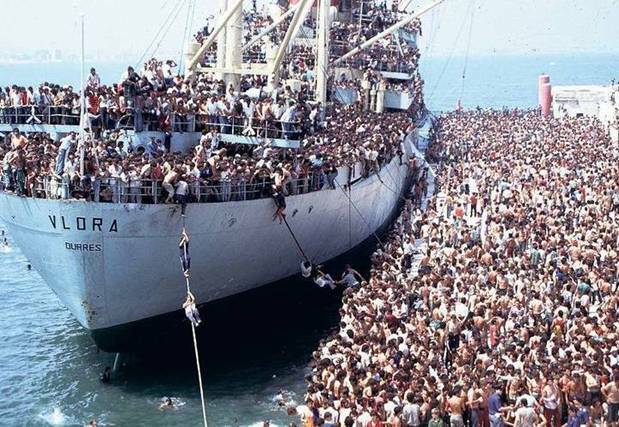 War, oppression and economic pressures have compelled record numbers of people in Africa and the Middle East to leave their homes and embark on the dangerous journey to Western Europe where they hope to find security and a better way of life. Thousands of refugees, most fleeing wars in Syria, Iraq and Afghanistan, have been snaking northward through the Balkans in recent days, confronting a Europe woefully unprepared to deal with them at every step. 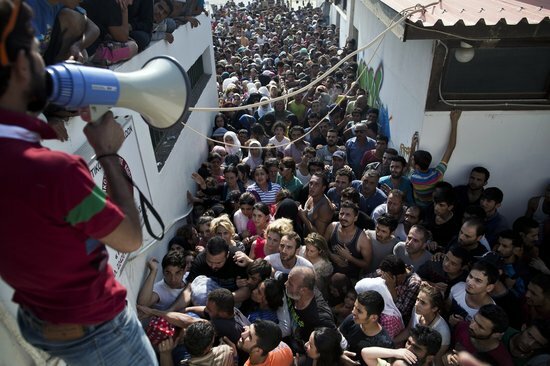 Most endured a perilous crossing to Greece aboard rafts and boats, some barely fit to sail. They traversed Greece, a nation paralyzed by economic crisis and too poor to handle a flow of people that in July hit a record high. At the border with Macedonia late last week, they trudged through a wall of riot police, who fought them back with tear gas before relenting. Now, the asylum-seekers, thousands a day, are racing into Hungary, which is rushing to complete a barbed-wire border fence by the end of the month to force them to seek other routes. 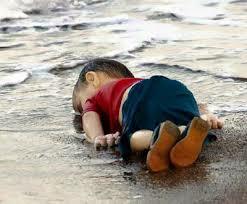 It is a long parade of misery unparalleled in Europe in recent years. But the continent has so far failed to agree how to respond. Amid a refugee crisis that by some measures is the worst since World War II, individual nations are being left to improvise their own measures. In Hungary, that is taking the form of 108 miles of barbed wire and fencing. The crisis is shaking fundamental tenets of European life, including the principle of free movement between most of the nations of the European Union. It is fueling a surge of anti-migrant sentiment in the countries that are housing the bulk of the asylum-seekers, Germany and Sweden. And it is straining the weakest countries, such as Greece, that are on migration’s front lines. “Unless we do something, we will become a lifeboat sinking under the weight of people holding on to it and drowning everybody, both those seeking help and those offering help,” said Janos Lazar, Hungarian Prime Minister Viktor Orban’s chief of staff, at a ceremony last week celebrating the founding of Hungary. 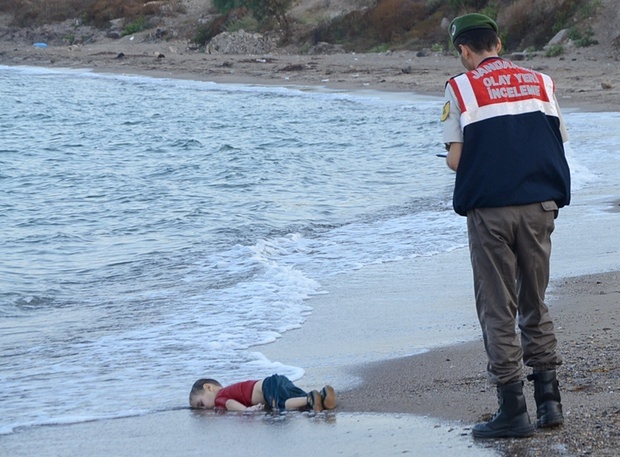 The Insane European Refugee Crisis is REALLY Crazy. If you don't believe me, read this! So now we have America (now bad) and Britain (also bad) providing limited support to Sunni Rebels (bad) many of whom are looking to IS (good / bad) for support against Assad(now good) who, along with Iran (also good) and Putin (also, now, unbelievably, good ) are attempting to retake the country Assad used to run before all this started? That should clear things up!